What do you get when you take the world’s most nutrient-dense food and turn it into artwork? A visit to Nice’s Xocoalt will tell you. The moment you step into Xocoalt, you find yourself transported to a different universe – one that is calm, peaceful, sensual, and fragrance-filled, and that makes you instantly forget the hustle and bustle of central Nice just outside. You know you just arrived in heaven, and St. Peter, or rather Fabrice Zuppo, is there to greet you and serve you manna in the form of some of the most amazing chocolate you will ever have tasted. Aptly therefore, chocolate has been called the Food of Gods, and for good reason, too. Not only does it taste divine, but its base product, the cocoa bean, is actually a health food, containing over 400 nutrients, thus qualifying as the world’s most nutrient-dense food… a fact your doctor or personal nutritionist might be interested in. Fabrice Zuppo, the creator of this piece of chocolate Heaven, does know, and he is living proof of the health benefits: he himself indulges in about 100 grams of chocolate a day, and he is as slim, athletic, and energetic as you can possibly imagine. “The only way to resist temptation is to yield it,” is not only Oscar Wilde’s quote but also the mantra Fabrice believes in – the caveat being of course that chocolate should be part of an overall healthy diet. Now, before you reach for a tablet of sweetly melting delight, consider this: not all chocolate is created equal. There is actually quite a science behind it, and Fabrice (pictured below) is only too happy to share it with the visitors to his elegant, spacious boutique which leaves room to wander around and admire the art work, just like in a museum. Born in Nice 37 years ago, his Italian parents named their son Fabrice, which in its Latin origin means “the one who creates with his hands”, and this proved to be prescient. He was drawn to doing just that, and at just 14 years old, set out on his professional path as an apprentice cook. General cuisine was followed by specialized training in vegetarian cuisine, but over time he became increasingly drawn to sweets, turned his attention to becoming a patissier, and eventually arrived at what would become his passion: the world of chocolate. Along the way, Fabrice complemented his professional training with formal education and commercial studies which eventually would provide him the basis of opening his own business. But prior to that, he embarked on a one year training at Valrhona, studying under one of the premier maître-artisans of patisserie, the great Luc Eyriey – “the Picasso of Chocolate”. He also spent a year living in Mexico, familiarizing himself with chocolate production, studying the industry from the inside, making contacts with local planters and logistic providers…. and also nurturing his interest for pre-Colombian history. And in 2010, he took the plunge and opened his own boutique in Nice. 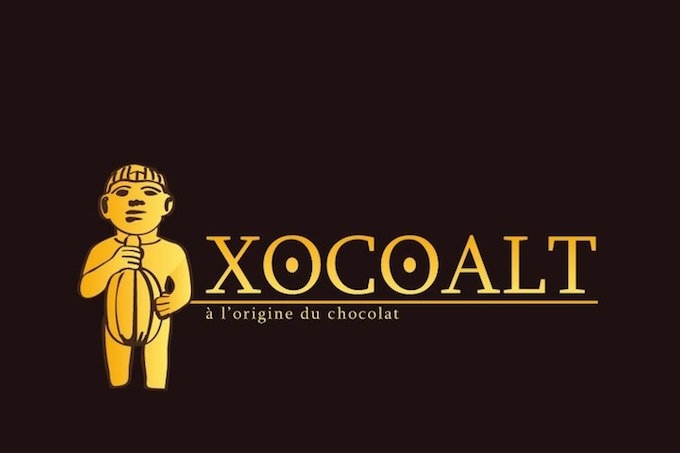 Fabrice’s and Xocoalt’s reputation spread quickly – so quickly in fact that in 2011 (and every year since) the boutique received a mention in the venerable Guide Gantié. And from then on, recognitions just kept flooding in: in 2012, none other than the great Alain Ducasse referenced Xocoalt in his “J’Aime Monaco – Ma Mediterranée en 170 adresses” book. In 2013, Gault & Millaut, ultimate authority of all things gastronomy, listed Xocoalt’s creator as “one of the 100 best chocolate makers in France”, and the spring 2014 edition of Thuriès magazine – the professional publication every culinary establishment dreams of being featured in – dedicated an article of no less than 12 pages to Xocoalt, as one of the two national “must” addresses of sweets. What is Fabrice’s secret? “There really is no secret. It’s more of a philosophy. I am a strong believer in quality and ethics. As for quality, I only work with Latin American and Madagascan cocoa beans which are the best in the world. Chocolate originated in Belize and spread from there, and somehow nature knows where a plant is best suited to thrive and tastes best. Of the three kinds available, Criollo, Trinitario and Forastero, I only use the first two which have the most noble quality.” Outside chocolate, his chooses prime ingredients that are locally produced such as honey or almonds of Provençal origin, and needless to say that he also puts lots of thought into environmentally friendly packaging. The art of making chocolate is ephemeral, says Fabrice, it won’t last but you can appreciate it using all your five senses. First, you see the chocolate, and appreciate its rich colour and gliss. Then you reach out to touch its velvety smoothness. After that you hear the sound it makes when you break it – a short, crisp snap indicates good quality due to a high content of cocoa butter. You then smell it, in all the many overnotes it comes in, depending on its origin and the way it was grown. And finally, the highlight, as you get to taste it when it melts on your tongue… Fabrice’s excitement about his art is palpable, reminding you of the same passion and poetry a sommelier brings to his art. In only four years, Fabrice’s reputation has spread far beyond the French Riviera but he resists the demand to turn the fruit of his labour into a mass product. There is no online shop, and no Parisian outlet… “I am Niçois, and I am quite happy to just serve my local clients. 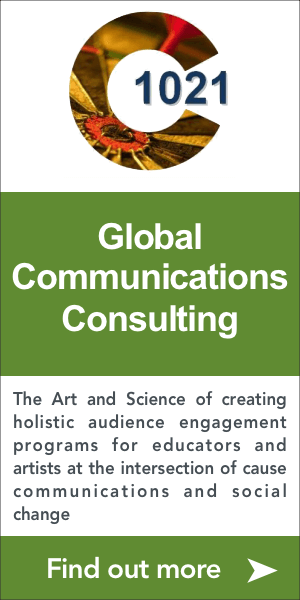 It all comes down again to my ethical principles of supporting eco-sustainability. If I ship all over the world, I’d only contribute to environmental problems.” Of course, it sometimes happens that he gets a call from, say, that nice couple from Normandy that visited his shop last year on their vacation, asking him to send them a package of his famous pâte à tartiner, or the divine macarons he makes fresh every week, and he will oblige but shipping, even in small quantities, remains the exception rather than the rule. Apart from environmental concerns, there is also another big issue behind his policy of keeping his production sustainable. By 2020, chocolate as a raw ingredient might become an increasingly rare commodity, as cocoa crops are being sacrificed in favor of more profitable rubber plantations, which in turn will lead to increased production of poor quality chocolate, made mostly of palm oil, vegetable fats, sugar, and fillers like nuts and raisins. True to his philosophy of ethical commerce, Fabrice does not want to contribute to that cycle. It’s this sense of responsibility, along with his talent and passion for his craft, that have made Fabrice one of Nice’s sweetest, if not so well-kept, secrets in just a few short years. And since chocolate is a health food after all, a visit to Xocoalt is exactly what the doctor (should) order!